Ola loves! 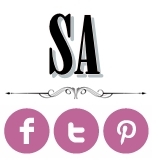 we loooove Weekends!..For today's Stunning frocks; we want to feature luxury, romance & a royal touch. Designer Martina Liana is one global glamour for bridal couture. 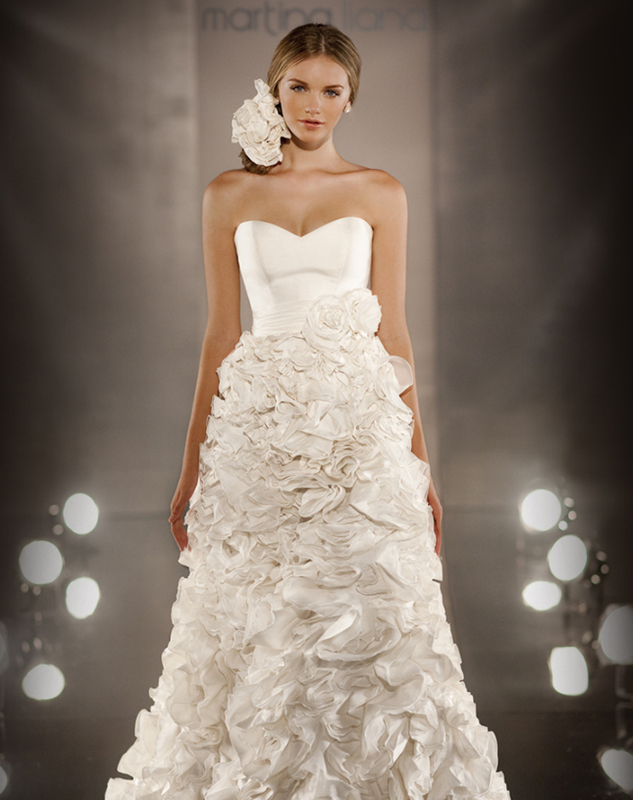 Not only they design beautiful dresses, but the dressess will make you feel royalty when you walk down the aisle. (Credit Belle) With an innate attention to detail, using luxurious fabrics such as Silk Satins, Soft Italian Metallics, Silk Organzas, Deluxe Dupioni's, Silk Taffetas and Angel Satins adorned with Swarovski Crystal and Diamante embellishments - you will find poetic nuances through such exquisite designs. On the evening of your wedding and if you are planning to change into a second dress, check-out the potential two styles you can get from one dress. 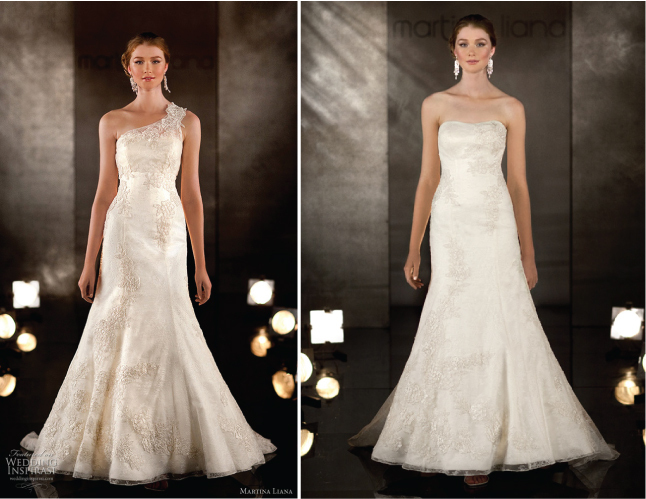 These dresses come in a long and short version to help you keep a cohesive appearance on your two bridal looks. 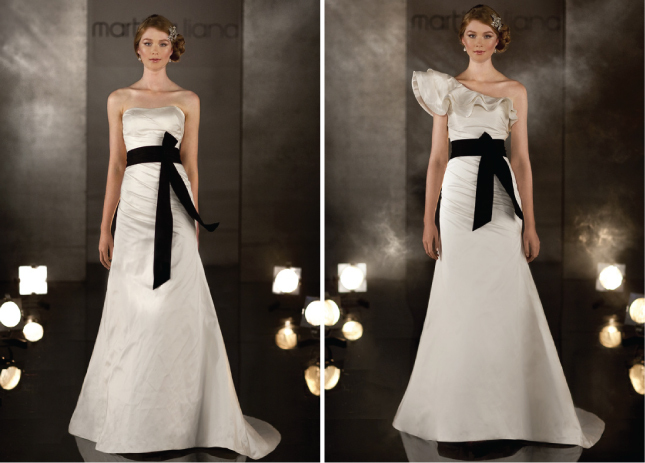 The following dresses are some of my favorites of Martina Liana. Now, if you are into pocket wedding dresses, take a look at these elegant, yet sleek gown.